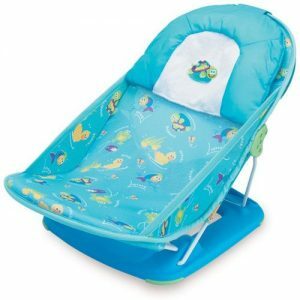 The bath seats/chairs fail to meet the federal safety standard,including requirements for stability and the bath seats can tip over while a baby is in it, posing a drowning hazard to babies. The U.S. Consumer Products Safety Commission issued a recall alert on December 1, 2016 for the Lexibook® Baby Bath Seats and Chairs. This recall includes all Lexibook Baby Bath Seats and Chairs. The plastic baby bath seats/chairs are intended for children 6 months and up. They have a plastic base with suction cups on the bottom, a back/arm support and a toy tray. “Lexibook” is stamped on the back/arm support. “Made in China” and “2014 Lexibook Limited IT028/IT029 SN: 1407/VA09” are stamped on the bottom of the base. They were sold in a variety of colors. REFUND – Consumers should immediately stop using the recalled baby bath seats and contact the online retailer where it was purchased for return instructions and to receive a full refund, or a refund in the form of a store credit or gift card, depending on the online retailer. All known purchasers will be contacted directly about the recall. Online at Amazon.com, Unbeatablesale.com, Wayfair.com and Youngexplorers.com from January 2013 through August 2016 for between $30 and $60.